The senatorial candidate of the All Progressives Congress in Rivers South-East, Senator Magnus Abe, has won the legislative rerun election in his senatorial District. The Returning Officer, Prof. Gideon Onukwuisi, declared Abe winner on Sunday after announcing the result at the collation centre in Bori, Khana Local Government Area. Also, Mr. Maurice Pronem, a House of Representatives candidate of the APC for Khana/Gokana Federal Constituency was declared winner by the Independent National Electoral Commission. Pronem won the election with 68,219 votes to beat his closest rival, Mr. Dumnamene Deekor, who polled 20,329 votes. The Returning Officer, Prof. G.G. Osuagwu, stated that out of the 91,533 total votes cast, 90,485 came out valid while 1,048 were rejected. Friday Nkeeh has been declared winner of the Rivers State House of Assembly seat for Khana Constituency 2. Nkeeh polled 15,000 votes to defeat Dinebari Loolo of the PDP who scored 4,000 votes. For House of Representatives, Hon. Maurice Pronen of the APC scored 68,219 votes while Dum Deekor of the PDP scored 20,329 votes for Khana/Gokana constituency. Prof. G.G Osuagu of Michael Opara University is the returning officer for Khana Local Government. Dr. Innocent Barikor of the APC has been declared winner of the election with 24,624 votes in Gokana State Constituency. 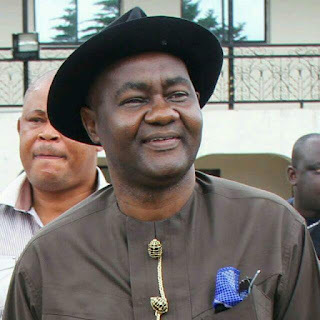 Also, Dr. Barry Mpigi of the APC declared winner of Tai/Oyigbo/Eleme Federal Constituency. Mpigi won with 48,760 votes while his opponent, Mr. Jacobson Nbina of the PDP polled 11,737 votes. Meanwhile, the Peoples Democratic Party emerged winner in the senatorial elections in Ogba/Egbema/Ndoni Local Government Area. INEC’s Collation Officer, Dr. Olonrushola Omodamirun, announced the result at the commission’s office in Ahoada East LGA after assembling the results in 12 wards and 37 units in the area. The results announced by the collation officer so far indicated that the PDP had 4,277 while the APC got 1,435 votes. However, the State Commissioner for Power and Energy, Mr. Shedrack Ogbogu, who was an agent of the PDP during the exercise, maintained that his party prepared to win the election. A PDP candidate for Bonny State Constituency, Mr. Abiye Pepple, was declared the winner of the election with 6,610 votes to beat the APC candidate, Henry Amangi, who got 2,330 votes. In Omuma LGA, PDP won in the House of Representatives election with 6,100 votes while the APC came second with 3,100. For the Senate, the PDP polled 6,000 while the APC had 3,050. But in Rivers East Senatorial District, the results released in six local government areas indicated that PDP won in Etche, Obio/Akpor, Ogu/Bolo, Okrika, Omuma and Port Harcourt. The results from Emohua and Ikwerre Local Government Areas were still being expected as of the time of filing this report.